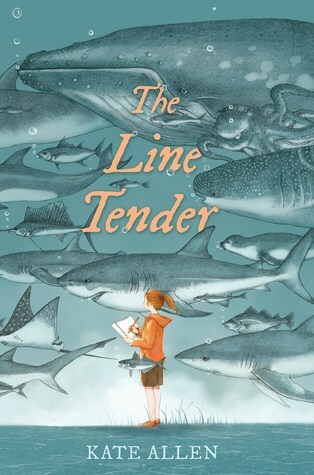 The Line Tender by Kate Allen; Dutton Children's Books, 371 pages ($17.99) Ages 12 and up. 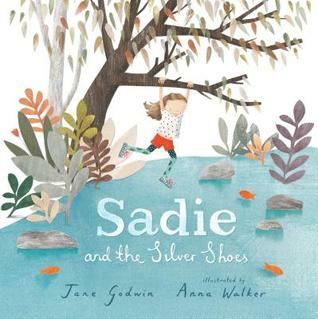 This extraordinary debut novel, narrated in the wise-beyond-her-years voice of a 12-year-old girl, tantalizes with the sweet possibilities of first love, plumbs the depths of grief after unthinkable loss, and looks to the still unexplained wonders of the natural world for meaning, finding a mysterious connection with all things and a profound message about our obligation to ensure our shared survival. The novel takes place in the summer of 1997 on Cape Cod. Rockport, Mass., is in an uproar over a great white shark caught in a net by a cod fisherman. Twelve-year-old Lucy Everhart and Fred Keller, the boy next door, head to the beach to include the shark in the wildlife guide they are working on as a special summer project for their science teacher. Lucy, a gifted artist, does the drawings. Fred, who is a musical prodigy and genius at math and science, provides the text. Lucy has a special interest in sharks and their well-being: her mother was a marine biologist and shark expert with a particular interest in great white sharks. She died of an aneurysm when Lucy was only 7, and Lucy and her dad have not yet managed to achieve anything like a normal life. There is plenty of humor in Lucy's narration. Her father is a police diver, and she is scandalized when he strips naked in the yard to put on his scuba suit, in full view of their elderly neighbor. "Dad pulled his scuba suit off the clothesline and worked his feet through the ankle holes, pulling the black rubber skin up his legs like he was yanking on pantyhose, his backside to Mr. Patterson's house. It was horrifying." At another point, during a trip to Boston comic book shop with Fred and his older sister, Lucy studies the drawing techniques in the comic books, noticing "a heavily armed woman on the cover... wearing a black scuba suit and a red jacket that a piano teacher would wear for a holiday recital." Here's Lucy, remarking on Fred's tiny writing: "minuscule mechanical pencil marks designed to maximize the amount of cryptic data a genius could record on one page." When a new tragedy strikes, Lucy becomes obsessed with continuing her mother's research on the great white's return to Cape Cod, a quest that will draw together her father, her parents' fisherman friend, Sookie, Mr. Patterson and an elderly shark expert, suffering from dementia, who once worked with her mother. Kate Allen writes with lyric grace, and her beautifully textured narrative, of a girl struggling to understand and move beyond tragedy, is a triumph. The final chapter is pure music. 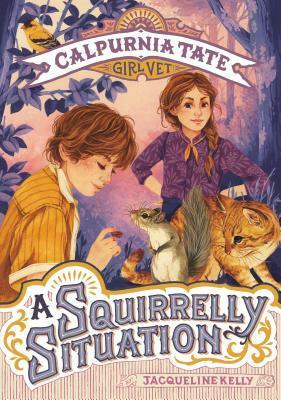 A Squirelly Situation: Calpurnia Tate, Girl Vet by Jacqueline Kelly; illustrations by Jennifer L. Meyer; GodwinBooks/Henry Holt; 100 pages ($15.99) Ages 7 to 10. Calpurnia Tate's animal-loving younger brother Travis finds an abandoned baby squirrel and brings him home, for the cat to nurse, in this fifth installment of Jacqueline Kelly's amusing illustrated chapter book series, featuring characters from her Newbery Honor book "The Evolution of Calpurnia Tate. (Previous titles were "Skunked! ", "Counting Sheep," "Who Gives a Hoot?" and "A Prickly Problem.") The entertaining and informative books are set in picturesque turn-of-the-century Texas, and Calpurnia narrates, in most lively fashion: "It turns out that baby squirrels can give kittens a real run for the money in the cuteness race." Idabelle, the indoor cat, as it turns out, is happy to nurse Fluffy, the squirrel, along with her one and only kitten, a bruiser named Thud. Calpurnia's grandfather encourages her love of science, and readers get quite a lesson about the "houseguest from the family Sciuridae," from the Latin sciuris, "meaning a tail that throws a shadow." Calipurnia's veterinary skills are called upon when Fluffy's tail gets caught in a door. And Travis finds a unique opportunity when the Fentress Fall Fair offers a hunting prize to boys 10 to 15 for the most squirrels killed in one day and one for the biggest squirrel overall.